April 16, 2019 | 10:00 a.m. 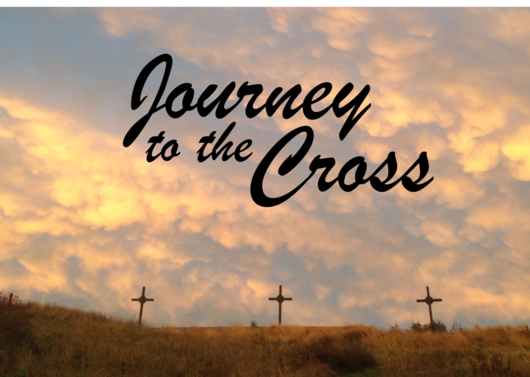 Journey to the Cross is a meditative 'walk' toward Easter during this most holy of weeks including reflections, visual imagry and journaling. Join in this powerful experience as we make our way to the glorious Resurrection Sunday. The Journey will conclude Holy Communion and Healing Prayer. The Healing Service includes Praise and Worship, Scripture and Teaching as well as opportunities for Holy Communion, Anointing, and Personal Healing Prayer Ministry.